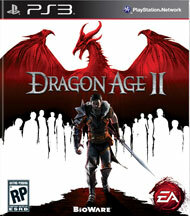 <br>Experience the epic sequel to the 2009 Game of the Year from the critically acclaimed makers of Dragon Age: Origins and Mass Effect 2. You are one of the few who escaped the destruction of your home. Now, forced to fight for survival in an ever-changing world, you must gather the deadliest of allies, amass fame and fortune, and seal your place in history. This is the story of how the world changed forever. The legend of your Rise to Power begins now.